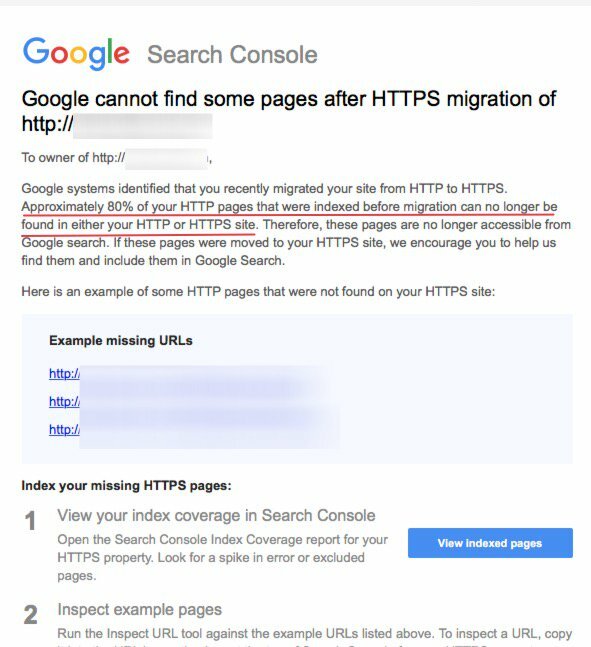 Google is now sending out a new notice to search console users detailing issues that Google has discovered when a site has migrated to HTTPS. 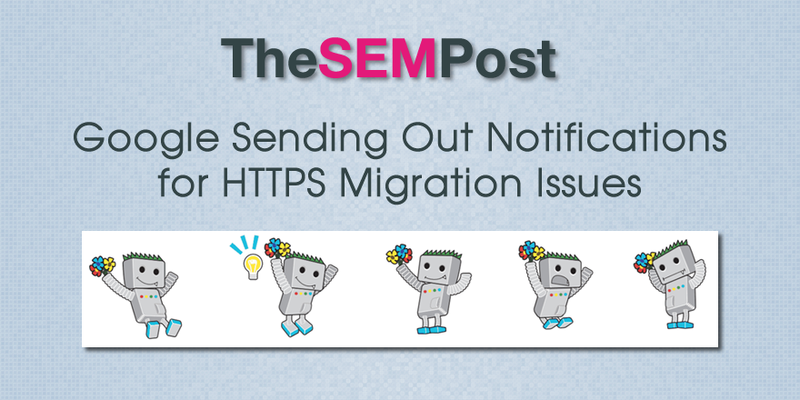 The email notice states what percentage of the site is no longer indexed after the HTTPS migrations, with example URLs that were on the HTTP version and not the HTTPS version. Google systems identified that you recently migrated your site from HTTP to HTTPS. Approximately X% of your HTTP pages that were indexed before migration can no longer be found in either your HTTP or HTTPS site. Therefore, these pages are no longer accessible from Google search. If these pages were moved to your HTTPS site, we encourage you to help us find them and include them in Google search. While Google is pretty good at reindexing sites that have been moved to HTTPS, there are often cases where the migration goes awry, such as blocking Googlebot from crawling the site, or leaving a noindex tag in place while the HTTPS version of the site was being set up prior to migration. And sometimes site owners just miss moving over some pages or even entire sections to HTTPS, especially if not using a standard CMS such as WordPress that makes site migrations easy. While this notice is exclusive to HTTPS migrations, it is possible that it could be used in the future for those that are using the site move tool.